The appointment of the President of the Court of Appeal has run into a snag once again without a nomination before the Constitutional Council to consider. The ten-member Constitutional Council (CC) chaired by Speaker Karu Jayasuriya met at the Parliamentary Complex for a brief meeting yesterday afternoon. 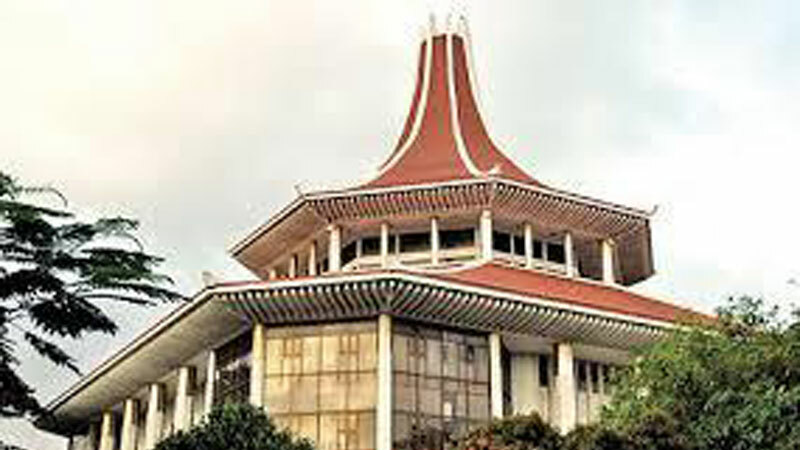 Parliamentary sources said that there was no new nomination received from President Maithripala Sirisena to the post of Court of Appeal President and therefore the CC could not take it up. “We can only approve or disapprove the names sent by the President, and there must be a nomination sent by the President for the CC to consider,” he said. Previously, the CC twice rejected the President’s nomination of Justice Deepali Wijesundara as the President of the Court of Appeal. However, the President appointed Justice Wijesundara as the acting President of the Court of Appeal after Justice Preethi Padman Surasena was elevated to the Supreme Court.“During the Constitutional Council meeting various views were expressed. Some pointed out that an acting position is not possible when there is no permanent appointment. Acting positions can be made when somebody had gone abroad or cannot function in that respective position,” sources added. The acting appointment was valid only 14 days as per the Constitution and that period has already been lapsed.The Speaker’s request for an appointment with the President to discuss these matters had not been materialised. Nominations for a vacancy in the Police Commission were also discussed yesterday. The President has sent another nomination for a vacancy of a judge of the Court of Appeal, but it would only be taken in the next meeting, sources said. Asked as to whether a new member was appointed in place of former Speaker Chamal Rajapaksa who was said to have resigned from the CC last month, he said the CC is unable to make a new appointment as the President has not yet informed the CC that he accepted MP Chamal Rajapaksa’s resignation. “Therefore the vacancy has not arisen yet,”. The CC members had also expressed their views on the recent statements by both the President and the Speaker on the affairs of the Council. “The CC is accountable and therefore we have no issue with both the statements. The Speaker only made a clarification as the Head of the Constitutional Council he added.